If you're a fan of anime, ice skating, or LGBTQ relationships, you've probably at least heard of Yuri On Ice!!!. Released this year by MAPPA, written by Mitsurō Kubo and directed by Sayo Yamamoto, Yuri On Ice!!! is a drama about figure skating, focusing on protagonist Yuri Katsuki and his last-ditch attempt to win the gold in the men's figure skating Grand Prix after failing at the Grand Prix the year prior. Yuri is joined by his new coach and former men's figure skating Grand Prix champion Victor Nikiforov, and his competitor from Russia, Yuri Plisetsky. 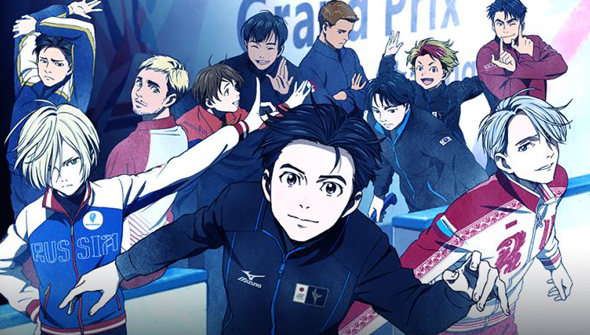 The anime follows the trio as they move through the competitions to the Grand Prix Final, with an additional focus on Yuri Katsuki's developing relationship with Victor. Yuri On Ice!!! is a breath of fresh air in the sports anime genre. Rather than a fierce competition where all of the skaters battle against each other, the characters are respectful and acknowledge their fellow skaters as accomplished individuals, making the focus of the skating competitions the actual skating rather than emotional tension. 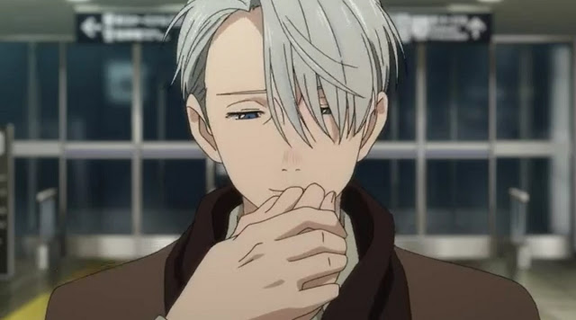 This frees up room in the plot for the audience to be enthralled by Yuri and Victor, who, despite a rocky beginning, develop a strong relationship as skater and coach, as well as eventual lovers. In addition, the animation in Yuri On Ice!!! is stunning. It's clear from episode one that the production team has studied ice skating in depth and shown their work in the animation. The figure skaters in the show not only skate with weight and balance, as though the audience is watching real figure skating, they're also complemented by special effects that make the underlying animation shine, such as ice flakes flying off the skates when they land or sequins shining on the costumes. The beautiful work isn't exclusive to the skating, either. The backgrounds in the show are gorgeous, showing off the various landmarks and the scenery in the cities where the ice skating competitions are held. One example is Barcelona, which is shown through gorgeous backdrops as Victor and Yuri explore the city together. The animation is not merely surface focused but well done and polished in almost every aspect. There are animation errors in parts of the figure skating, where the skaters themselves have mistakes in their proportions, most likely due to the speed with which the episodes are produced, but the mistakes don't have a large impact on the overall enjoyment of the series. If you're looking for something fun and engaging, with well-developed characters and a side of charming romance, Yuri On Ice!!! is a must watch as a love letter to figure skating.